A school for South Korean merchants' children was established in Yantai in 2001. 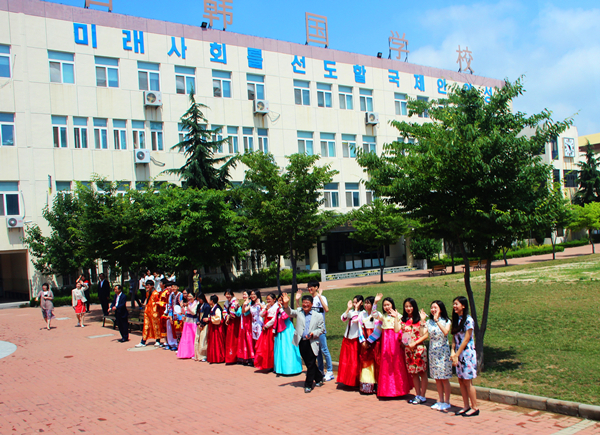 It is the only school in Yantai that is qualified to present South Korean government approved graduation certificates. Covering an area of 3.722 hectares and building area of 1.49 hectares, the high-standard campus is equipped with computers, television and projector in every classroom. Having opened with 35 kindergarten and primary school students, it currently has about 700 students enrolled in 28 classes from primary through high school.